First off, Hau’oli Makahiki Hou (Happy New Year)!!! Secondly, YES. FOOT PEELS. I know you might be recoiling a little but bear with me–the results are way better than a pedicure…I guess you have to paint your own nails though. I don’t know about y’all but I feel like after a while, I fall off the foot-maintenance-bandwagon and my heels get really dry. And cracked. It’s gross. My mom swears my vaseline slathered all of your feet overnight but it doesn’t really work for me (aka it works too slowly because my heels are that bad) so I tend to go to town with a pumice stone. Now, instead, I use foot peels. I just did one to start the new year with smooth, non-cracked feet! I’m not going to post a picture because really! It’s so gross–just take my word for it that it works (REALLY WELL). Foot peels, which can be found in your local Korean beauty store (or on Amazon), work by exfoliating the dead skin off of your feet using fruit enzymes. You put your feet in a little plastic sock (supplied in kit) which is full of gel. It doesn’t hurt but it may tingle a little. You wear them for about an hour and a half and then rinse (don’t scrub) afterwards. About two days later, your feet will start to peel. Some people peel like a snake, some seem to…molt…OH it’s so gross but afterwards, your feet are SO soft. It’s totally worth it. Be careful! If you have a medical condition or sensitive skin, I wouldn’t recommend this treatment. Instead of two days after, my feet peel almost an entire week after I do my peel. The peeling seems to last for another week but everyone’s different. WEAR SOCKS ALL THE TIME. To work, around the house, AND to bed. Otherwise, you will flake all over the place it’s gross. And obviously, skip yoga class that week because your feet will peel even more during class and no one needs to see that. You get better results if you soak your feet for a while every now and then. The peeling/crumbling is the worst right after soaking/get out of the shower. SOCKS. SOCKS. SOCKS. Don’t pick at your feet mid-peel–it seems to stop the peeling from working as well. Try not to peel too often–the process can be rather extreme. I save foot peels for extreme conditions and try not to do it for at least a few months afterwards. If you can’t stand it anymore, you can use a pumice stone and lightly buff off the dead skin. PopSugar sent this Kocostar product in one of their boxes but I’ve tried BabyFoot (Japan) and the in-house products made by Korean brands NatureRepublic and The Face Shop and they all work very well–my heels are so thankful afterwards! I caved and bought the Dyson Hairdryer during the last VIB sale at Sephora, and it tipped me into uncharged VIB Rouge territory. I feel both proud of this (and also ashamed because I really did spend $1k at Sephora this year–some of this was gifts but yep, selfishly the majority of it was all for me. Here’s more justification for my sake: I was really surprised that it was covered under the sale because I feel like anywhere else, it would be one of those…exempt items (One because its an electric and two because it’s a Dyson). I REALLY LOVE IT, GUYS, but that’s another story. 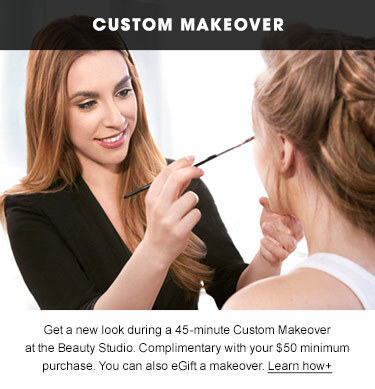 This one is about one of the perks about being a VIB (and VIB Rouge) member–custom makeovers! VIBs ($350 spent in one year) get one a year and VIB Rouges ($1000 spent in one year) get unlimited makeovers. B had a holiday party and I felt like this was a great excuse to exercise my VIB perk for the first time. I’m going to tell you guys up front to avoid disappointment that in all the commotion, I totally forgot to take a selfie (I KNOW HOW COULD I) but I’ll do the next best thing and tell you guys what it’s like. Appointments are booked online, once you’re logged into Sephora’s website. It’s a pretty good scheduling tool because it shows you ALL of the available appointments so you can schedule accordingly. I’d book ASAP once you know your event just to ensure that you get a time that works well for you, especially because the scheduler says these appointments are about 45 minutes…but really, it could be longer! My appointment was at 230PM. It started on time and I didn’t leave Sephora till about 4PM. I’m not complaining at all (the girl who did my makeup was AMAZING and I loved my look), this is just FYI so you can plan ahead. I just had enough time to get home, change, then we shooed Zuko in the car and we were off! I didn’t have enough time to curl my hair–next time, I’ll schedule appointment earlier in the day. …is free, included in the service, BUT you do have to pay for the lashes separately. I’m not sure if they charge you if you bring your own lashes–I ended up buying a pair of Huda Beauty amazingly awesome whispy lashes that I already had at home. Good thing I loved them enough to buy a duplicate. My makeover was like this: skincare/prep and then makeup application (foundation, eyes, lashes, lips). The makeup artist takes a little basket thing and goes ‘shopping’ around the store to pick up items she thinks will work best with your skin/skintone/look-that-you’re-going-for. I really liked that there’s a skincare aspect to it first–makeup has to have a great base, first off, right? BUT YES, this is the part that might not go well for everyone–if you didn’t assume so already, the products that they apply on you is from all the testers. Sometimes, they open fresh products (thankfully, I believe I had a fresh tube of mascara and liquid lipstick, oh thank goodness) but I believe the majority of the other products were open stock. I’m SURE they must spritz alcohol over things first, but my eyes were closed so I didn’t see it. I feel like when you swatch a tester, say foundation, for example, it’s not so bad because you wipe it off right after… but this makeup will stay on you all night and they used the same eyeshadow palette that lots of people may have rubbed their fingers in. The best part about getting my makeup professionally done was her explanations on what she was doing, why she picked these shades, the best way to apply products like these, which brushes to use, etc. Her explanations were great and she was really easy to talk to–I felt like I was starring in my own makeup tutorial and it would be posted on Youtube afterwards! Totally great experience, despite my germaphobe radar going off (I didn’t get sick or breakout afterwards so that’s a plus), I’d definitely do it again because my makeup was AMAZING. I like that they listen to what you’re looking for and also give you options, encouraging you to try something new that you probably wouldn’t/couldn’t do yourself. I asked for typical Holiday Party makeup and I ended up with a red smokey eye, accented with gold glitter, with a bold lip (which is something that I never do, ever). It was PERFECT for the holidays. I would have thought it was way too much if I was doing my own makeup but when my pro applied it, it all worked together in the end and I got tons of compliments! If I go in again, I might bring some of my own products (I’m thinking eyeliner and mascara and for sure lipstick) so that I can learn how to apply the things I have more effectively (and also to lessen worrying about bacteria). I’ll be sure to double-save my selfie, next time! This one caught my eye because Christmas is ALMOST HERE OMG and after that is the New Year…which pretty much means lots and lots and lots of glitter. Don’t you think so? I know glitter has been very prominent in makeup lately, from everything from eye shadow to lipstick. I’m not brave enough for those so I’ll probably stick to glitter nail polish. While you drink your coffee this morning, check out this video from Kelli Marissa–she’s got an amazing way to apply glitter nail polish so that it actually looks like how it does in the bottle. AMAZING!